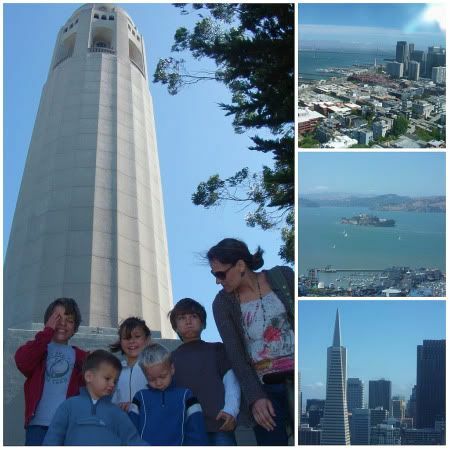 First, we headed to Coit Tour where we spent some time gazing down on the entire city from the very top. The sight (and more literally, the wind!) took our breath away. Of course, we couldn’t take a trip to the city and neglect to explore Pier 39. There we had a fabulous dinner at Bubba Gump’s and couldn’t resist the aroma of Trish’s Mini Donuts! 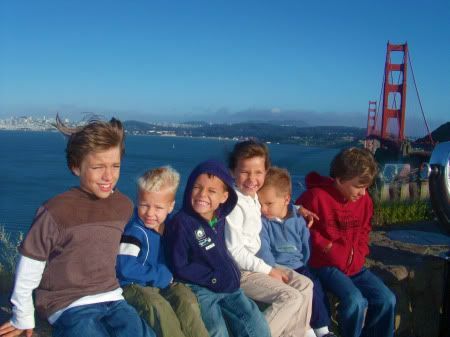 Stopping to take in the Golden Gate Bridge was probably a highlight for the kiddos. It was so cold and windy, but they didn’t seem to care a bit! LOVE that last shot. Looks like such a great time! Fab photos. I’d love to go back and visit San Fransisco — my father was in the Navy so we lived near there for a short while when I was a toddler. 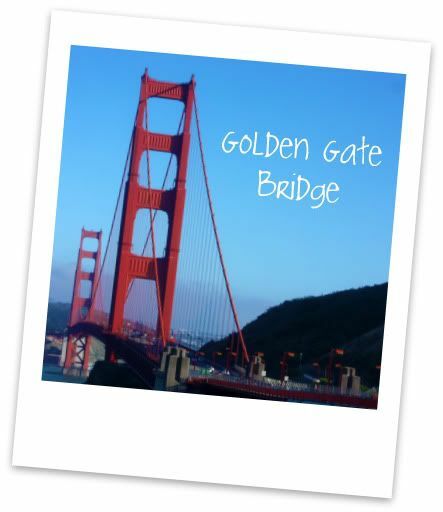 whenever I have friends visiting from offshore to CA to see the bridge – I always tell them – it’s really cold there !!! I love SF! We only live about 45 mins from there! Beautiful pictures! It’s always so windy in SF. When I lived there I lived in the East Bay where it’s hot. Dumb Dad (when he was Dumb Single Guy) lived on the other side and I would always have to borrow a sweater when I went to visit him. Never did grow to enjoy his side of the bay but looks like you all had a blast! There are always places to visit. I’ve lived there when I was a kid, and as an adult for a few years, and I have not done everything there is to do there. Lots of great eats and sights. Still haven’t ridden on a cable car yet either.